It only takes 3 minutes to register your consent as an organ & tissue donor ONLINE at www.beadonor.ca/sportfestwindsor-org and then discuss your wishes with your family. Every year WPARA hosts an annual golf tournament at a local golf course. 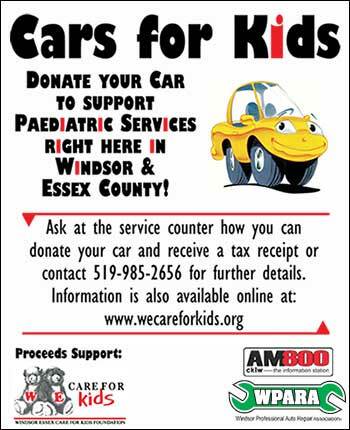 As well, we have a Windsor Professional Auto Repair Association Christmas Party of which a portion of the proceeds are donated to the W.E. 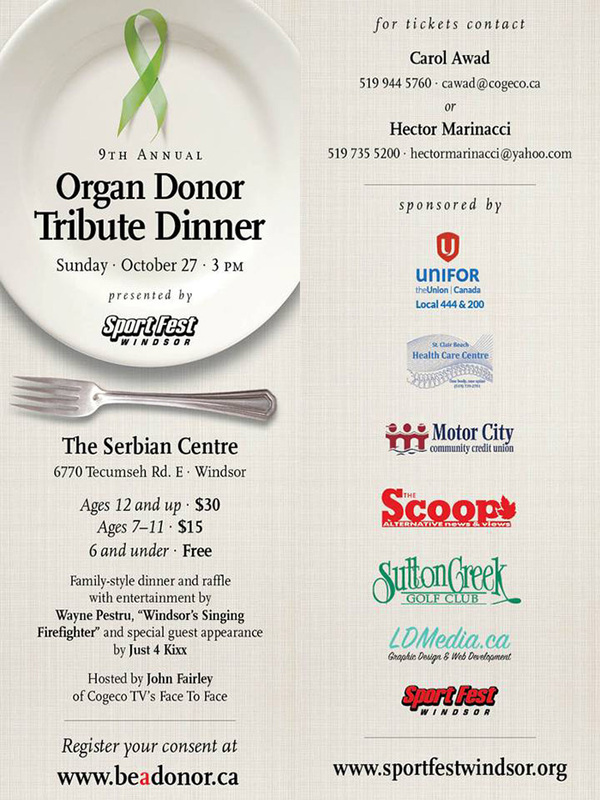 CARE FOR KIDS FOUNDATION & MULTIPLE SCLEROSIS SOCIETY OF WINDSOR. Automotive Industries Association of Canada "Right to Repair"
AIA Canada confirms that it is not mandatory that you return your vehicle to an authorized dealership in order to maintain the integrity of your vehicle warranty. ** In each province in Canada, all automotive service professionals, dealerships or otherwise, must meet the same criteria in order to practice their trade. ** The replacement components used by this establishment to service your vehicle meets or exceeds the specifications of the components manufactured by the automakers parts suppliers. ** Consumer protection legislation in Canada favors the consumer. Dealerships cannot restrict the choice of where your vehicle is serviced for regular maintenance. Talk to your chosen automotive service and repair specialist to ensure the maintenance schedule for your vehicle is followed, and that the warranty repairs are undertaken promptly by the appropriate repair facility. Find out more at the Automotive Industries Association of Canada web site.